Awards activity:After six months of campaigning at film festivals, Hollywood is now in the critics awards phase of the annual Oscar sweepstakes. In the first round of awards activity, distributors generate awareness of their awards hopefuls with film festival premieres. Things get underway in Mid-May at the Cannes International Film Festival and move on to other long established festivals in Venice, Telluride, Torontoand New York. The Hollywood awards playbook usesthose showings to spark an early awards buzz that spreads like wildfire once awards bloggers put their online weight behind their favorites. The Oscar blogosphere's enthusiasm, in turn, helps frontrunners emerge in time for film critics groups throughout the U.S.to start handing out awards in early December. Ongoing media coverage of these awards heightens Academy voters' awareness of certain films, especially indie dramas, making it more likely they'll see them at screenings or watch them at home with DVD screeners provided by the studios. Getting seen is essential because Academy members don't usually vote for movies they haven't seen and they have only a limited amount of time in which to catch some of the many contenders. Dec. 1 saw the New York Film Critics Circle applaudIFC Films' R rated drama "Boyhood" for best picture and director (Richard Linklater). The next day the National Board of Review (NBR) named A24's R rated action crime drama "A Most Violent Year" best picture and Clint Eastwood best director for Warner Bros.and Village Roadshow's R rated biographical action drama "American Sniper." The Los Angeles Film Critics Association announced their winners Sunday with "Boyhood"winning Best Picture and its director, Richard Linklater,winning Best Director. Other key awards by the LA group were: Best Actor – Tom Hardy for A24's R rated drama "Locke;"Best Actress –Patricia Arquette for "Boyhood;"Supporting Actor – J.K. Simmons for Sony Pictures Classics' "Whiplash;"Supporting Actress –Agata Kulesza for Music Box Films' PG-13 rated drama "Ida;" and Best Animated film –GKIDS' PG rated animated fantasy drama "The Tale of Princess Kaguya." 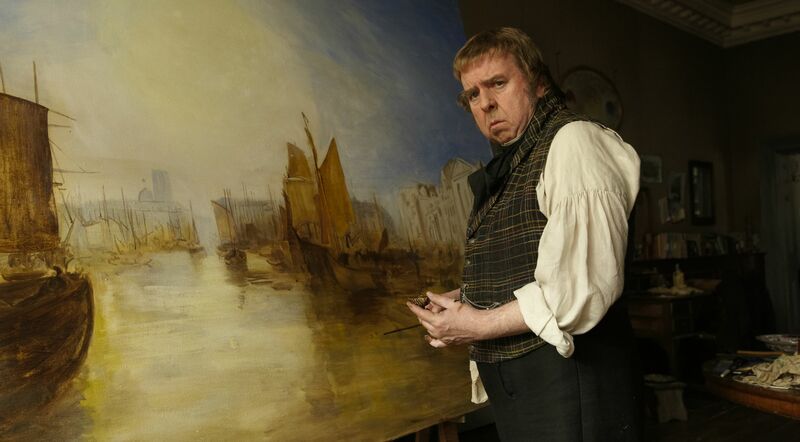 Other key awards by the NY critics included: Best Actor – Timothy Spall for Sony Pictures Classics' "Mr. Turner;"Best Actress -- Marion Cotillard for The Weinstein Company's "The Immigrant" and for Sundance Selects' "Two Days, One Night;" Supporting Actor – J.K. Simmons for "Whiplash;" Supporting Actress – Patricia Arquette for "Boyhood;" and Best Animated film – Warner Bros. and Village Roadshow Pictures' "The Lego Movie." Among NBR's other winners were: Best Actor (tie) – Oscar Isaac for "A Most Violent Year" and Michael Keaton for Fox Searchlight Pictures' R rated "Birdman;" Best Actress – Julianne Moore for Sony Pictures Classics' "Still Alice;" Supporting Actor – Edward Norton for "Birdman;" Supporting Actress – Jessica Chastain for "A Most Violent Year;" and Best Animated Feature – DreamWorks Animation and 20th Century Fox's "How to Train Your Dragon 2." The NY, NBR and LA groups have their own ideas about what's worth celebrating, although "Boyhood" did very well in both the NY and LA votes and is now Oscar's presumptive frontrunner for best picture and directing. But it's worth remembering that film critics and Academy voters typically have different best picture tastes and preferences. For instance, last year's best picture winners from these critics groups were:"American Hustle"(NY), "Her"(NBR) and a tie between "Her" and "Gravity" (LA). But the best picture Oscar went to "12 Years a Slave." Nonetheless, high profile contenders that score with critics groups typically have an enhanced shot at getting into the Oscar race. "American Hustle" received 10 Oscar nods -- including best picture and directing (David O. Russell, who was also a DGA nominee) -- although it didn't win in any of those categories. "Her" received five Academy noms, including best picture, but had no wins. "Gravity" received 10 Oscar noms, including best picture and directing (Alfonso Cuaron, who was the Oscar and DGA winner) and hadseven victories. In recent years, Oscar's best picture winners have tended to have serious storylines like last year's "Slave" or the prior year's "Argo. "Many of the titles that emerged from this year's festivals and have an eye on the Oscar race are serious dramas like Sony Pictures Classics' R rated "Foxcatcher," Focus Features' PG-13 rated "The Theory of Everything" and The Weinstein Company's PG-13 rated "The Imitation Game." The best picture Oscar conversation also tends to include a few major studio hopefuls that are more commercially driven than the indie dramas, but get Academy members' attentionthanks to their filmmakers' awards pedigrees. A case in point is 20th Century Fox's 3D epic adventure "Exodus: Gods and Kings,"opening Friday at about 3,300 theatres. Directed by Ridley Scott ("Gladiator"), it stars Christian Bale, Joel Edgerton and Ben Kingsley. It's tracking best and about equally well with men and women over 25. Scott's a three-time best directing Oscar nominee – in 1992 for "Thelma & Louise;" in 2001 for "Gladiator,"which also won best picture; and in 2002 for "Black Hawk Down." Scott also was a Directors Guild of America (DGA) nominee for those three titles. With that kind of track record, no wonder he's on Academy members' radar whenever he makes a new film. Clint Eastwood is another filmmaker with an enviable Oscar pedigree and a big following among Academy voters. His latest movie, Warner Bros. and Village Roadshow's R rated biographical action drama "American Sniper," opens Dec. 25 in limited release and goes wide Jan. 16. 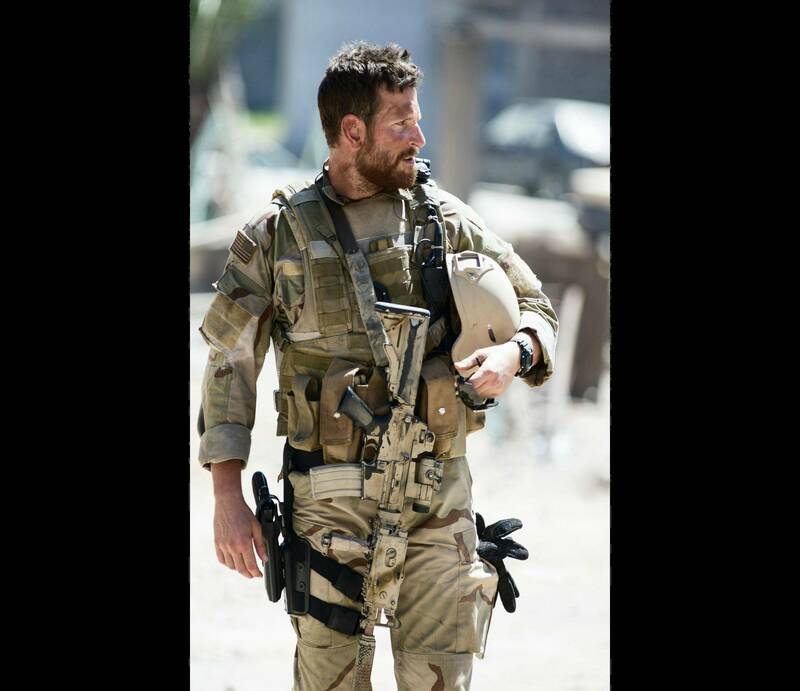 It stars Bradley Cooper, Sienna Miller and Jake McDorman in the true story of U.S. Navy SEAL Chris Kyle (Cooper) with over 150 confirmed kills to his credit. Eastwood ("Million Dollar Baby") is a longtime Academy favorite with four Oscar wins, including best picture and directing in 1993 for "Unforgiven" and best picture and directing in 2005 for "Baby." Eastwood was also a DGA winner for "Unforgiven" and "Baby." He was a DGA nominee in 2004 for "Mystic River" and received the DGA's Lifetime Achievement Award in 2006. Films can also be propelled into the best picture race through their filmmakers' celebrity status or because their subject matter has resonated before with Academy members. Universal and Legendary Pictures' PG-13 biographical action drama "Unbroken,"opening wide Dec. 25, was generating an Oscar buzz long before anyone saw it because its director is Angelina Jolie ("In the Land of Blood and Honey"). Jolie, who always has instant access to the media spotlight, won a supporting actress Oscar in 2000 for her performance in "Girl, Interrupted." "Unbroken" stars Jack O'Connell, Domhnall Gleeson and Jai Courtney. O'Connell plays Olympic runner Louis Zamperini, who was captured by the Japanese during World War II. An example of socially significant subject matter that's resonated well in the past with Academy voters is Paramount and Plan B Entertainment's historical drama "Selma. "Directed by Ava DuVernay ("Middle of Nowhere"), it stars David Oyelowo, Carmen Ejogo and Tom Wilkinson. This story about Dr. Martin Luther King Jr., LBJ and 1960s civil rights marches opens wide Jan. 9, putting it the national spotlight for Jan. 19's Martin Luther King Jr. holiday. "Selma" should also benefit from having two prime celebrity names on its producing team -- Brad Pitt and Oprah Winfrey, both of whom will be big draws when it comes to getting Academy members to see the picture. Bottom line:Critics groups influence what Academy members make time to see, but their best pictures don't necessarily wind up in Oscar's sealed envelope.